I always seem to have lemons on hand this time of year. It could be my pre-spring craving for color. 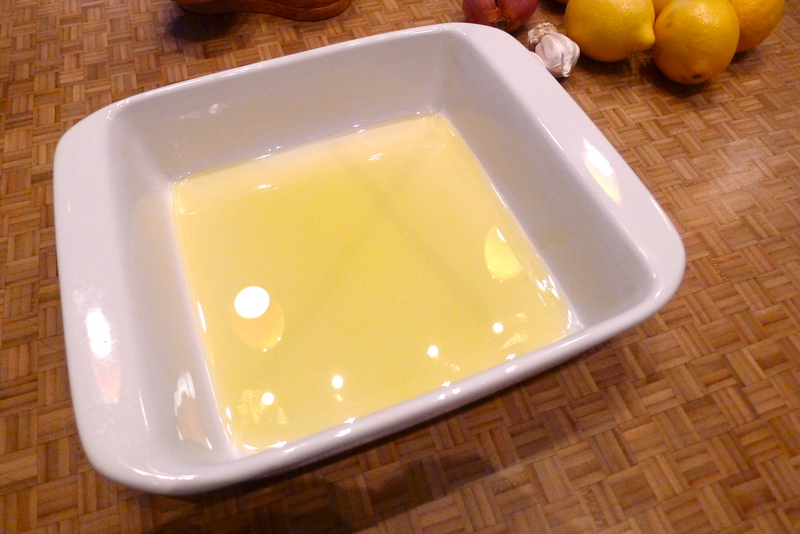 It could be that brightness a hit of lemon brings to a dish. 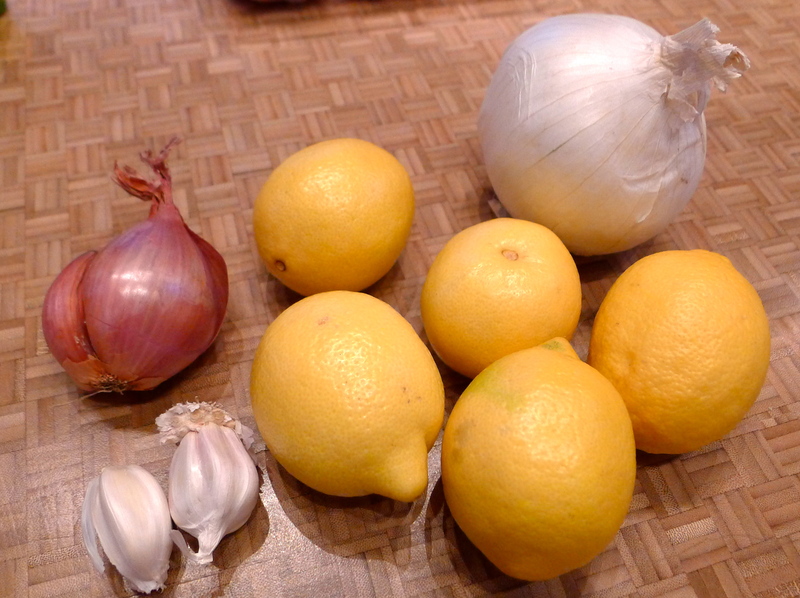 It’s about time for me to make my favorite homemade lemonade, and we do eat a lot of fish (lemon is the perfect partner). So I was immediately drawn to Shutterbean’s lemon chicken recipe! 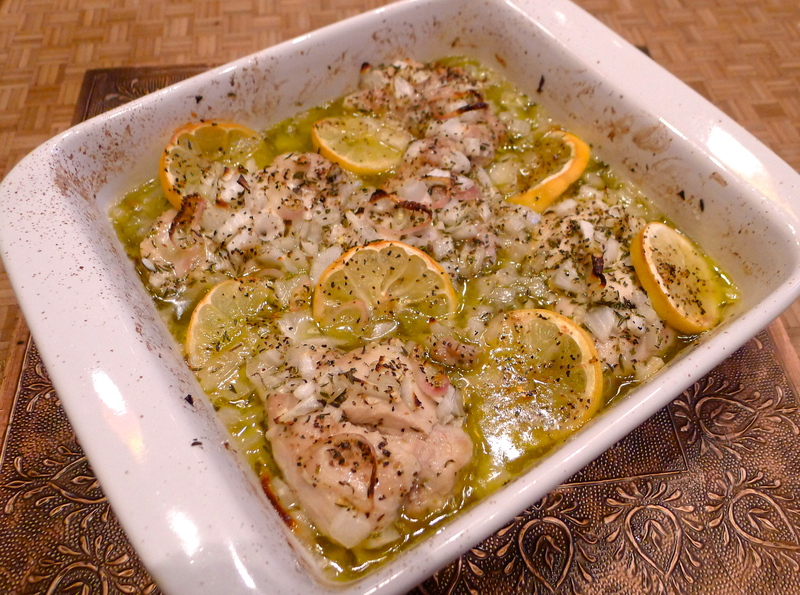 I love Tracy’s gorgeous food photos; the lemon chicken looked like the perfect combination of flavor and comfort. 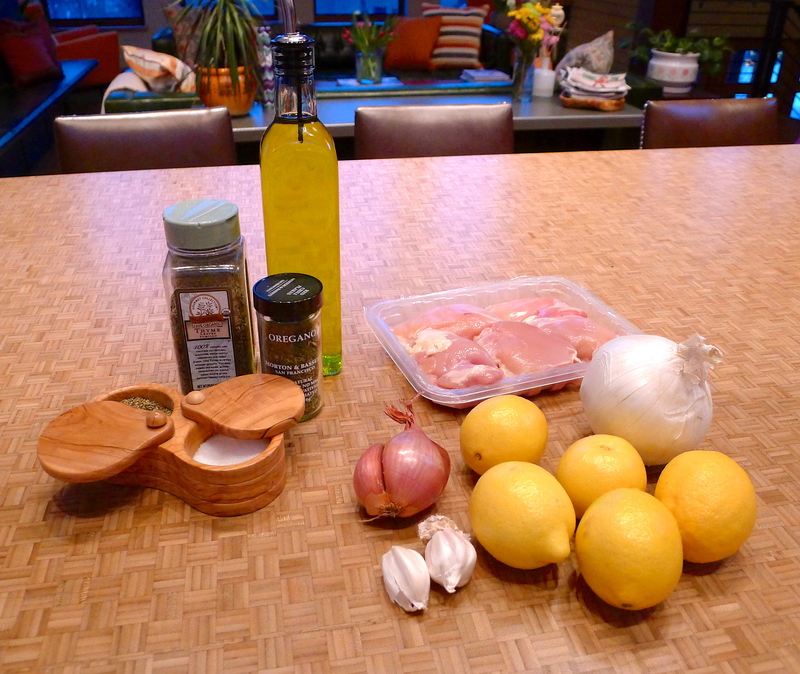 The recipe calls for chicken thighs, which my dear friend Nancy turned me on to- they are generally more flavorful than chicken breasts, and are a great bargain! Aside from the thighs, I had all of the ingredients on hand. 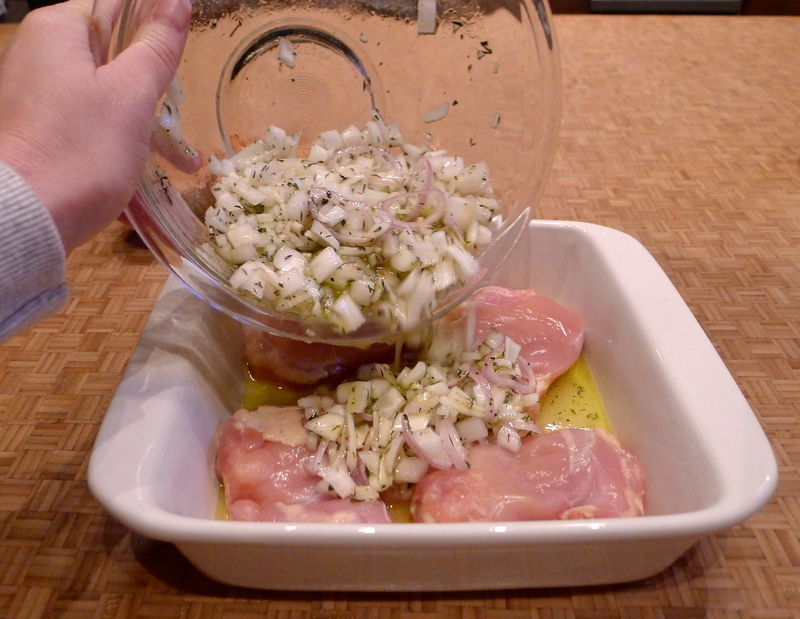 I started by swirling some olive oil in the bottom of a baking dish and then nestling the chicken thighs into it. 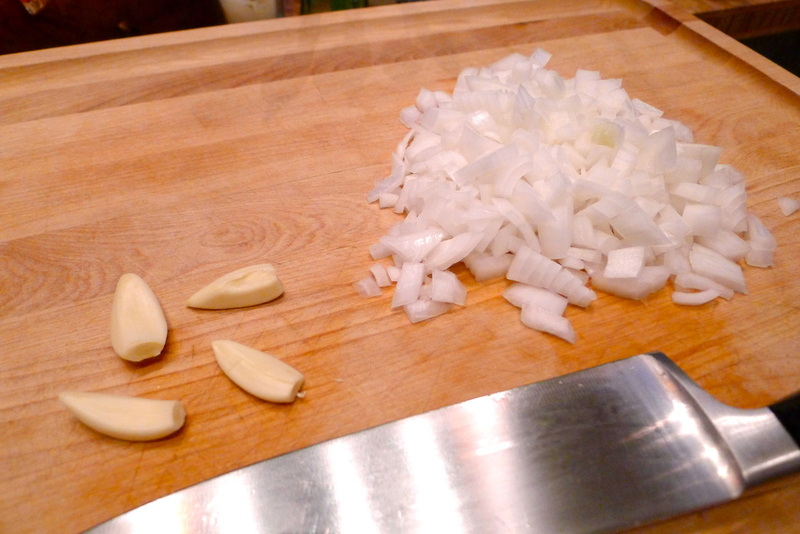 I chopped up some garlic and onion. 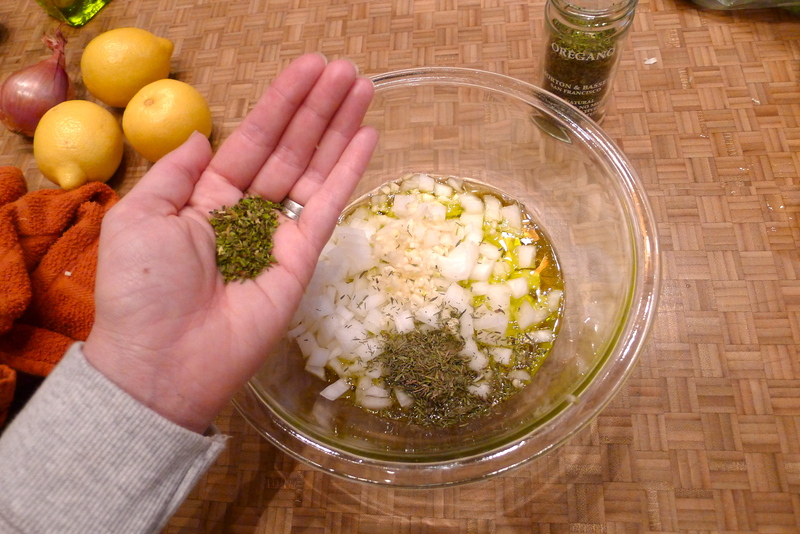 In a bowl, I combined the onion and garlic with more oil and a handful each of thyme and oregano. I sliced up a shallot I wanted to use up and added it to the bowl, too. 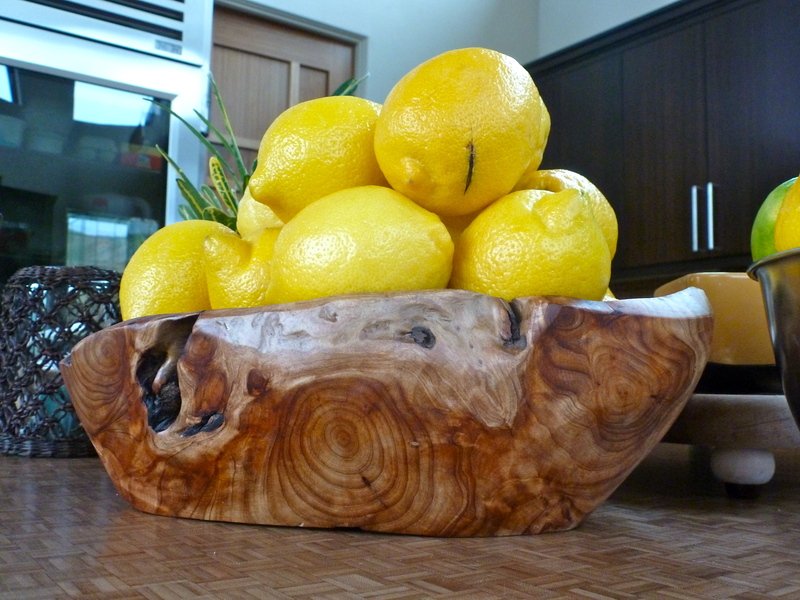 And we can’t forget the lemon! I juiced a lemon and a half right into the bowl and gave it all a good stir before pouring it right over the chicken. With a big spoon, I stirred the chicken and onion/garlic mixture in the baking dish. 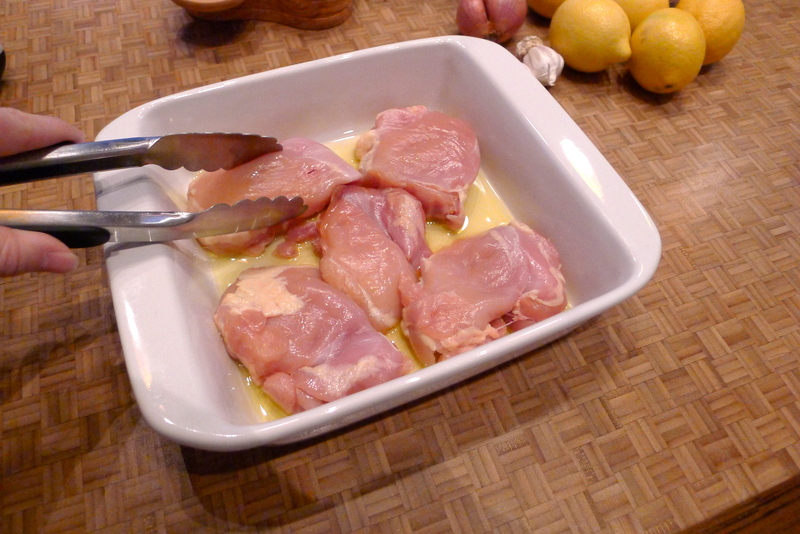 Before baking the chicken, I added more lemon, tucking slices in between the chicken. A little salt, a little pepper, and into the oven it went! 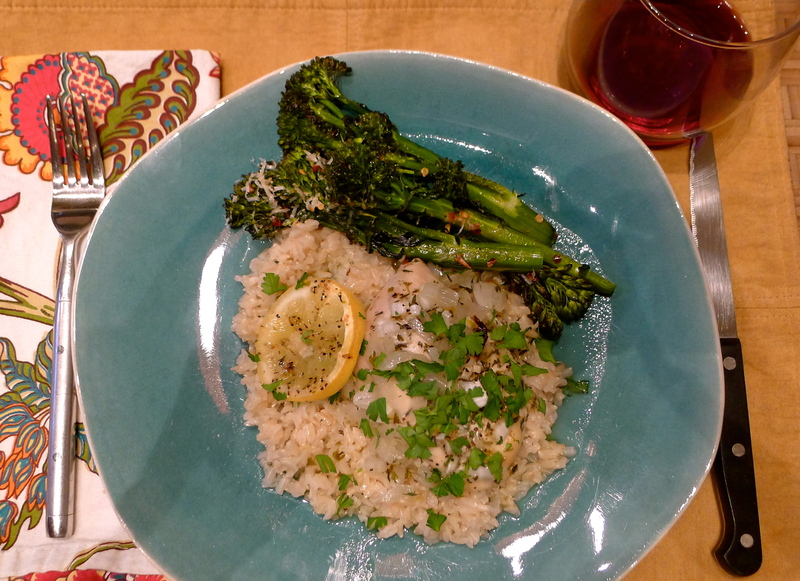 With a sprinkling of chopped parsley, we served the lemony chicken over rice and roasted parmesan broccolini. 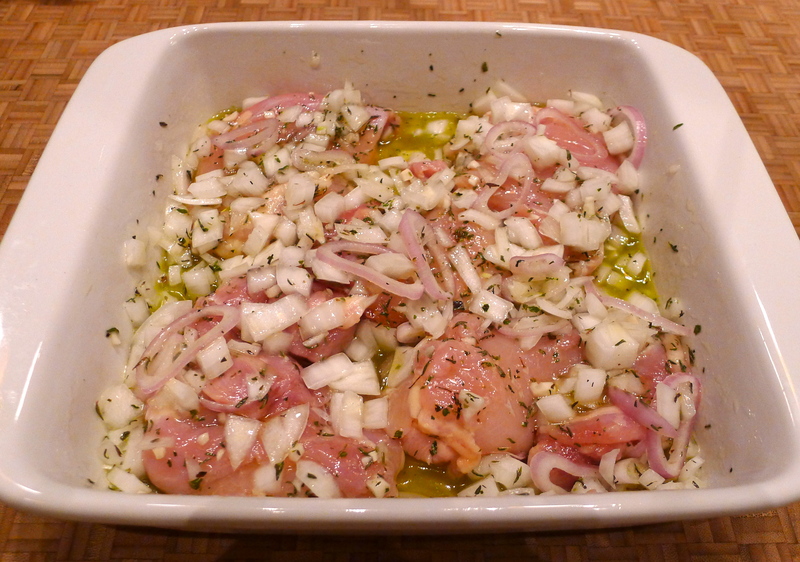 The thighs were tender and juicy- I made sure to scoop some of the delectable onions and juice over the chicken. The lemon flavor is significant but mellows out in the oven. This meal is delicious- and quite simple. Yum! 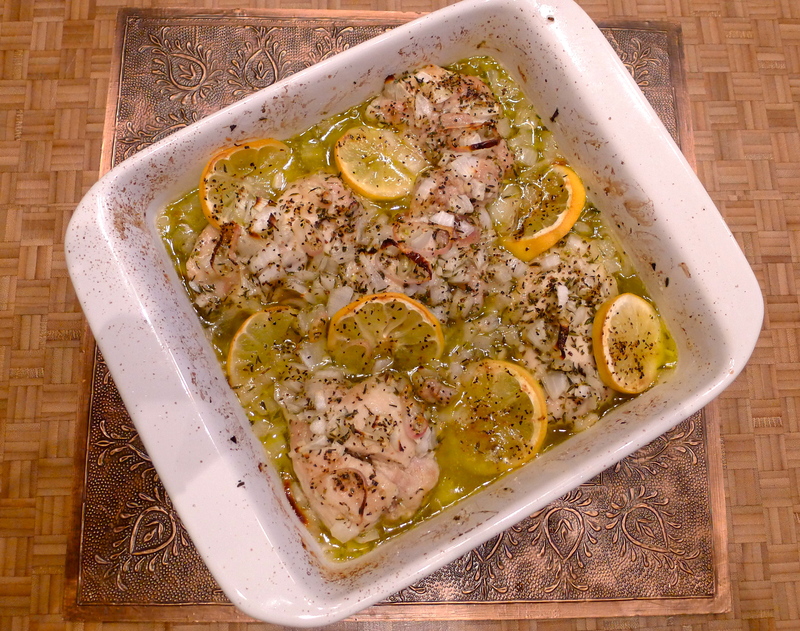 The next time I make this lemon chicken, I think I’ll use chicken thighs with the skin on– I can imagine the crispy baked bits would be scrumptious. 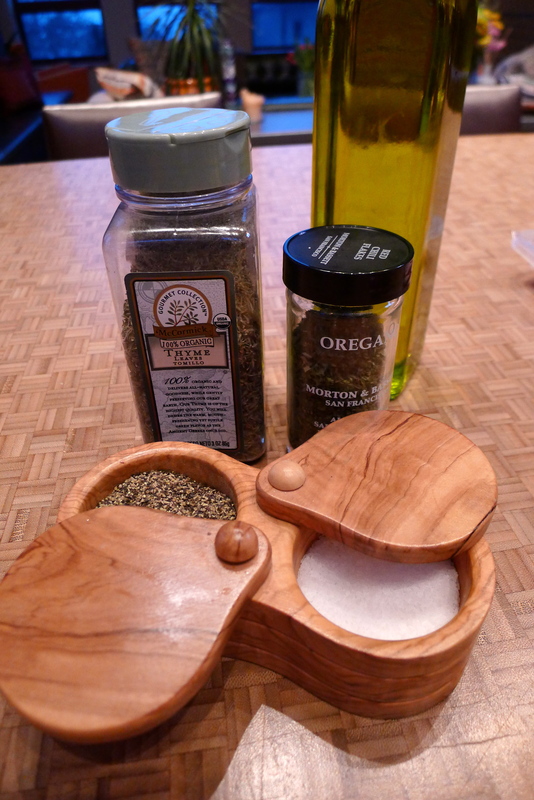 I was a little light on the seasoning- I’ll be more generous with the salt and pepper. 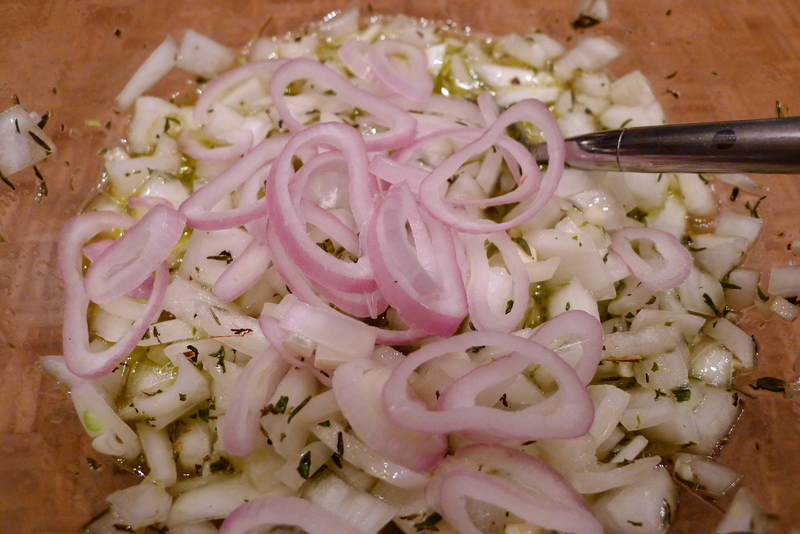 A smidge of honey in the onion mixture might also be a fun addition, to tweak the flavor and add a bit of sweetness! Or I might just do things the exact same way…because we both cleared our plates. 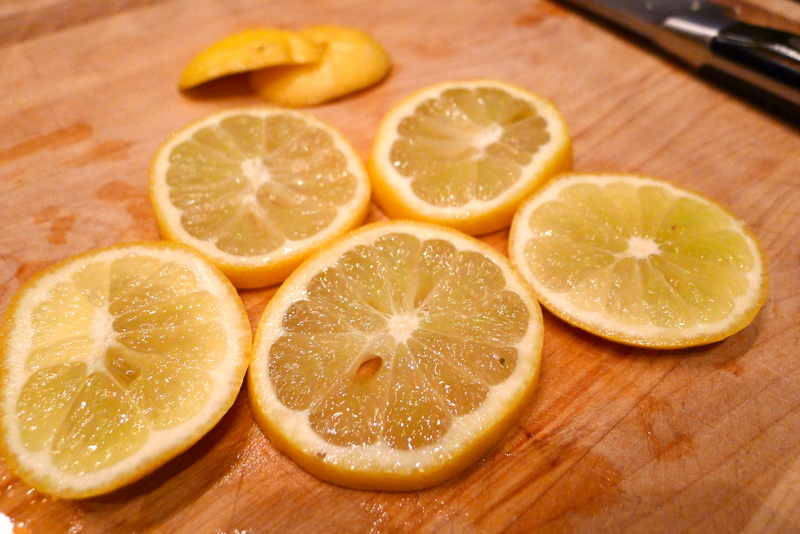 Do you have a favorite lemon recipe? Share with me! Preheat oven to 375 degrees. 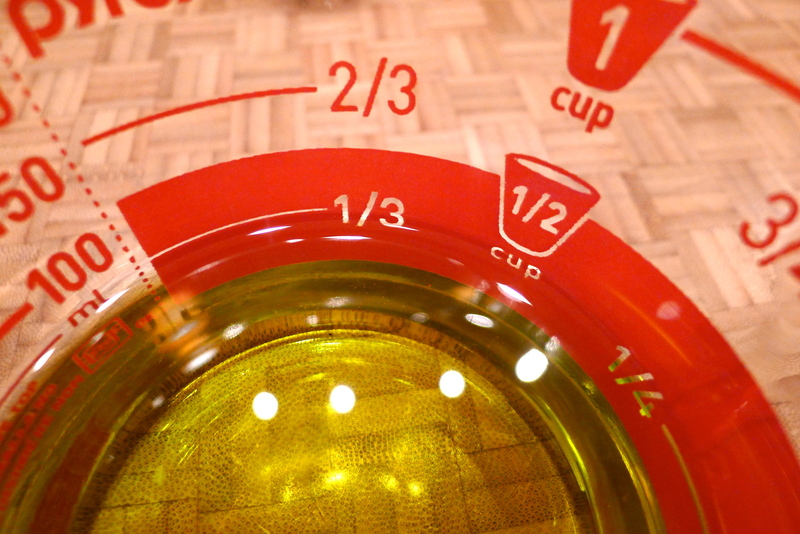 Swirl olive oil in the bottom of a baking dish. Add the chicken thighs and set aside. 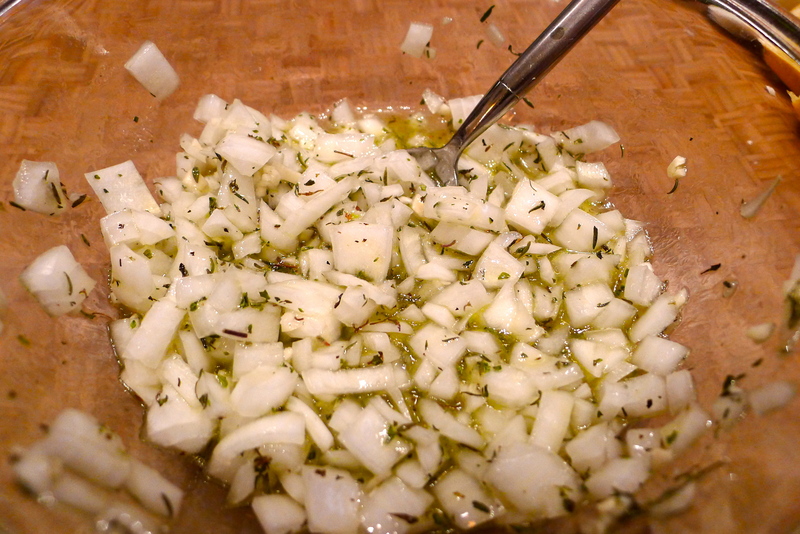 In a bowl, combine the olive oil, lemon juice, onion, garlic, thyme, and oregano. 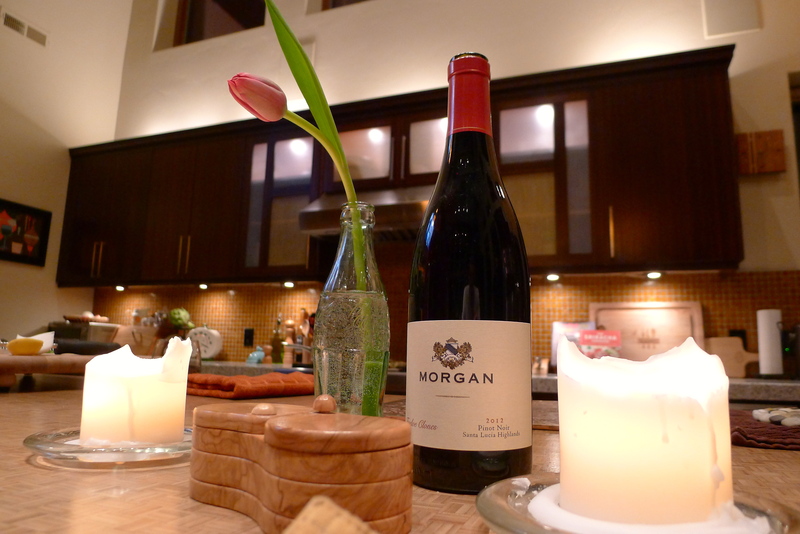 Pour over the chicken and toss to coat. 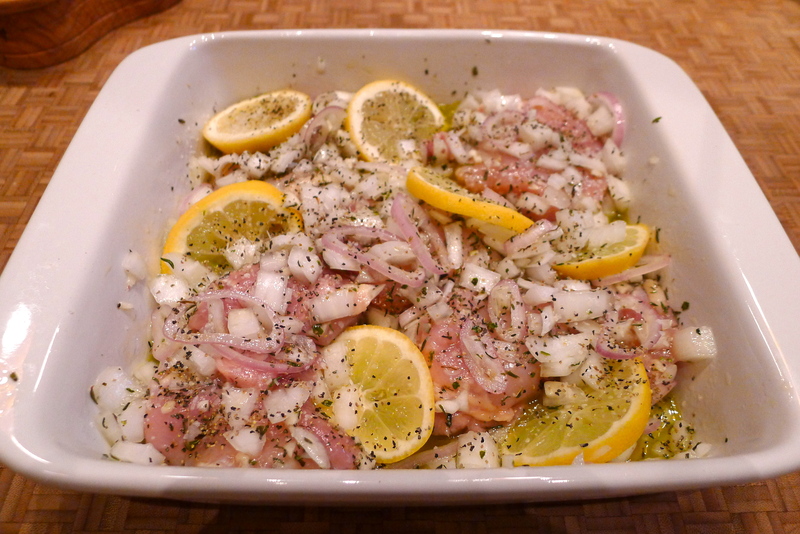 Nestle lemon slices around the chicken and season with salt and pepper. Bake chicken for 30-40 minutes until chicken is cooked through and juice is bubbling. Cover the pan and let sit for a few minutes. 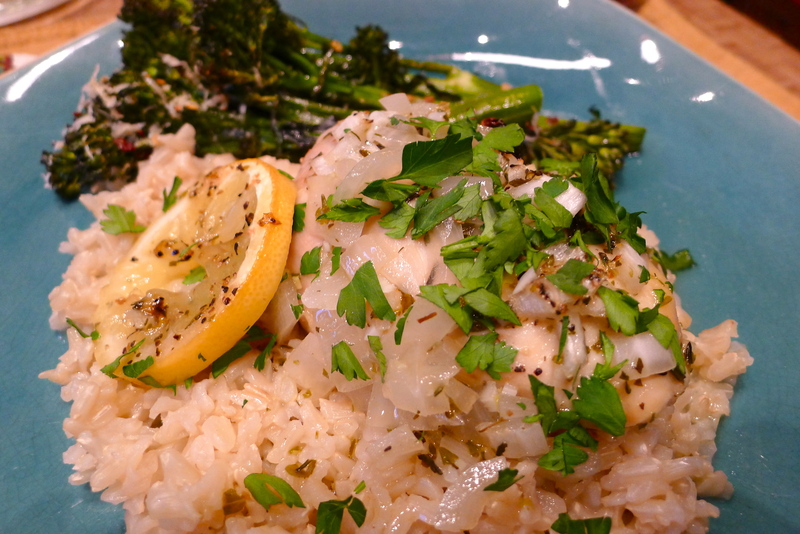 Sprinkle with parsley and serve over rice- don’t forget to spoon the juices over the top! Yum! One year ago: I introduced my Travel Bliss page! That’s an interesting idea! Try it! 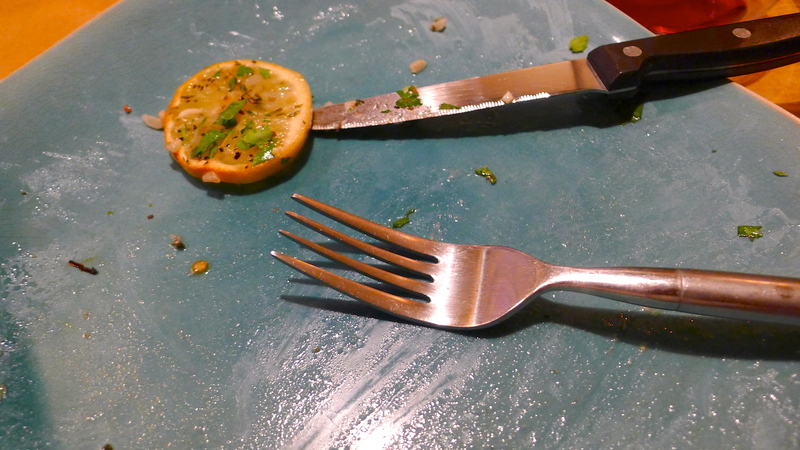 Nothing better than garlic and citrus – YUM – hand me a fork:) Happy Weekend!